Completely revised to reflect important changes in this year's tax laws, J.K. Lasser's 1001 Deductions & Tax Breaks 2011 will help you take advantage of every tax break and deduction you may be entitled to. This comprehensive guide is clearly organized by subject matter so you can easily find situations that may apply to you. Each tax benefit is also clearly explained-along with the eligibility requirements for claiming the benefit-while planning tips and common pitfalls associated with the benefit in question are discussed in detail. New tax law alerts are also included throughout the book, so you can make the most informed decisions possible. 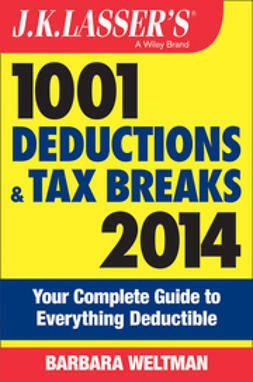 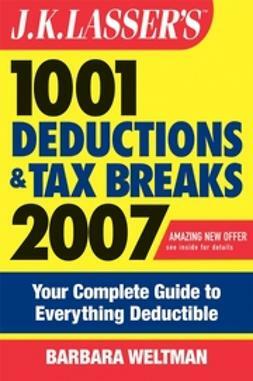 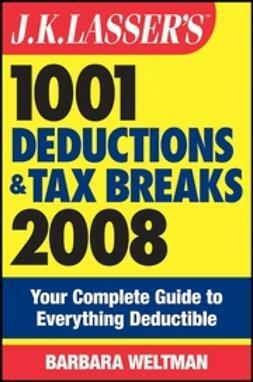 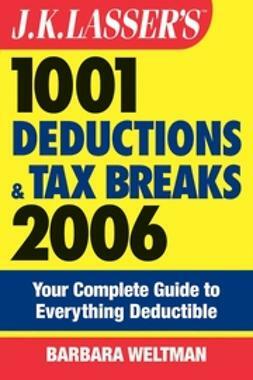 J.K. Lasser's 1001 Deductions & Tax Breaks 2011 is a book every taxpayer should own.